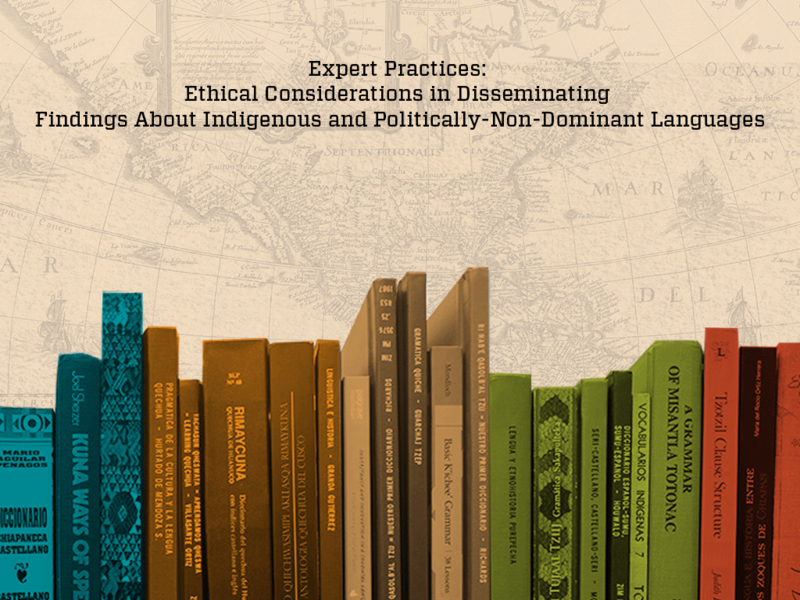 As part of an effort to foster in-depth conversation on critical topics, the LAII has invited UNM faculty and graduate students to convene and examine “expert practices,” discussing the ethical considerations in disseminating findings about indigenous and politically non-dominant languages. The event will take place on Friday, October 19, 2018, from 12:00 - 2:30 pm at the LAII main office (801 Yale Blvd NE). The afternoon will begin with Dr. Catherine Rhodes, Visiting Lecturer in the Department of Anthropology, presenting on this theme. What are the implications of producing scholarly knowledge about indigenous or other politically-non-dominant languages? What is at stake and for whom when producing such knowledge? Do “…custodians of endangered languages—communities that are themselves a diverse audience[—]…find [this global conversation about language endangerment] empowering and encouraging, unintelligible and alienating, or something in between? Can they borrow from it to conduct their own advocacy, or do they prefer to use quite different discourses?” (Hill 2000, 119). In this talk, Rhodes takes up these and other, related questions in consideration of the ethics and politics of producing scholarly knowledge about indigenous and other politically-non-dominant languages. In it, she discusses the politics of language preservation and the related concepts of language endangerment and loss. In particular, she focuses on the ideologies that are implicit and explicit in both popular and scholarly conceptualizations of the current state and imagined future of indigenous and politically-non-dominant languages. Throughout, she draw on examples from her own work in the Yucatec Maya-speaking region of Mexico and her research focused on the creation of disciplinary linguistics in the Yucatec Maya language, through which she explores the production of indigenous scientific knowledge; the negotiation of indigenous and Maya identities; and conceptualizations of indigeneity, and modernity more broadly. Following Rhodes’ talk, a panel of invited experts will respond to the ideas discussed and provide further examples and considerations from their own work in different parts of Latin American and the U.S. Following their comments, there will be time for open discussion between panelists and audience members. • Dr. Melissa Axelrod, Professor Emerita in Linguistics (language documentation and revitalization, Guatemala, US SW).